The business environment is quickly changing especially with the introduction of technology which has revolutionized the entire financial industry. The use of the machine and the artificial intelligence and not to forget the blockchain technology are taking the financial industry by storm. One thing that you will love about the changes in the financial industry is how machines are making things easy. 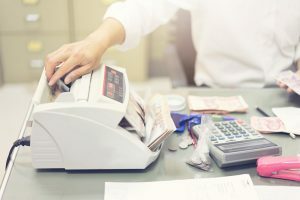 One of the areas that machines have played a significant role is in streamlining the cash management processes. One of the major handles that business faces are the cost of running the business. Among the key costs is that of labor. Labor is a factor that a business need for it to grow and hence the only thing that you can do is try ways that you can reduce. That is what a note counting machine does to your business. If you are dealing with a lot of cash, you will need to employ people to handle cash counting. The machine works by automating the cash counting process hence eliminating some workers to do the job. You can leave one worker to handle the counting, and they can still be assigned other tasks as money counting takes a very small amount of little time to finish a job that would take hours if done manually. Another major handle that business solves by introducing a note counting machine is erroneous counting. It’s been proven that counting by hand makes it difficult for the business to operate with accurate figures. Counting by hand is prone to errors, and that is costly to the business operations if not checked. That is something that note counting machine solves for all business. The machine guarantees 100 percent and error-free calculation. That is a major handle that business can overcome. When you have inefficient cash counting, you open doors for rogue workers to steal from you. The issue of counterfeit also comes up, and if not checked, it can bring your business down. But with a good note counting machine, these two handles are solved forever.